Canton New Roof | Canton Roof Tear-Off | Canton Roof Installation | Canton New Roof Estimate | Canton Roofing EstimateMcGlinch & Sons CO.
Are you looking for a licensed and insured exterior contractor to do a roof tear-off or place a new roof? If so, McGlinch & Sons is here to help! Since 1917 we have served Metro Detroit as a trusted business that offers fair new roof estimates. When many in the area think of new roof and roof installation the only name that comes to mind is McGlinch. You can be sure we give you the best in expert and professional service. McGlinch offers Canton area residents the knowledge and experience to get their new roof done on time and within budget. Get the roofing estimate that is accurate and thorough. Our team is looking forward to helping with your roof tear-off or building you a new roof. 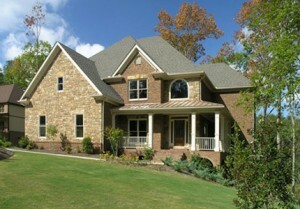 McGlinch is an exterior construction company that handles all aspects of every job. Call us today if you want a dependable team for your new roof or a roof tear-off. Canton is located 8 miles west of Detroit’s city limits with a population of 90,173. Canton was ranked 29th safest city in America in 2015. Many Canton customers recommend McGlinch to family and friends who are looking for an affordable roof estimate and expert roof installation. Get the quality craft you deserve and a new roof estimate that is aggressively priced to show that we not only offer experience, but we will go the distance to look out for your best interest. McGlinch is a family owned and operated roof provider, experienced in roof tear-off and roof installation. If you want a new roof estimate, don’t wait to contact our team today for a FREE Estimate! McGlinch & Sons will give you the price you want and a new roof that will last. Call us today at (313) 278-2777 for your roofing estimate in or near Canton. We are here to assist you with our qualified and dedicated team. Get the quality new roof, roof tear-off or roof installation you want. We consistently train our crews to ensure safety and flawless new roof projects.